Take a walk on the wild side with this gorgeous Fendi. 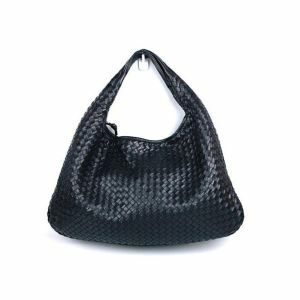 We can guarantee you’ll turn heads with this metallic textured bag, set off by treated leather accents and a dark brass Fendi-labeled closure. 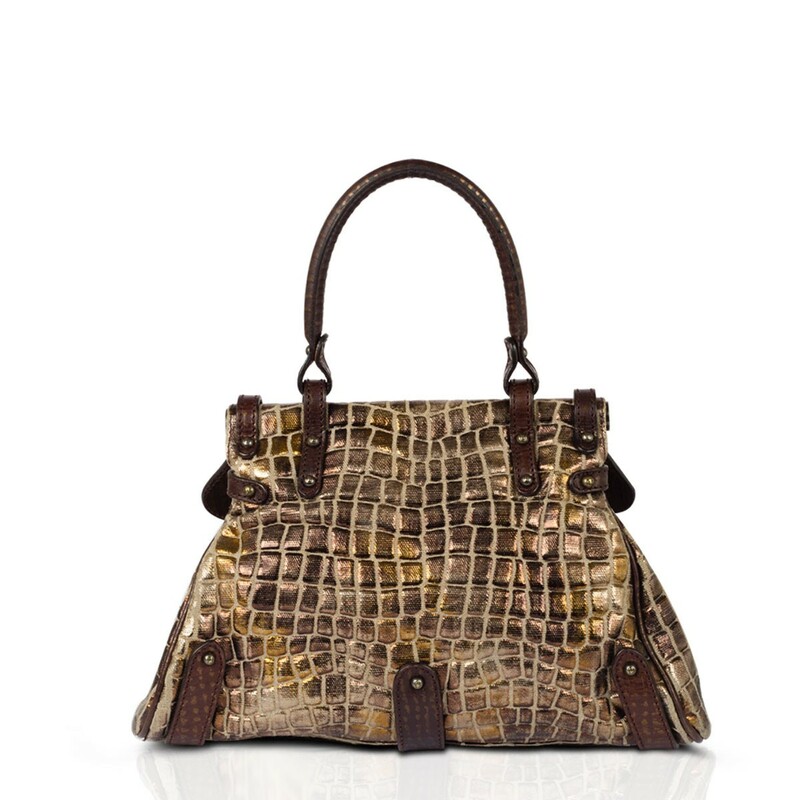 Take a walk on the wild side with this gorgeous Fendi. 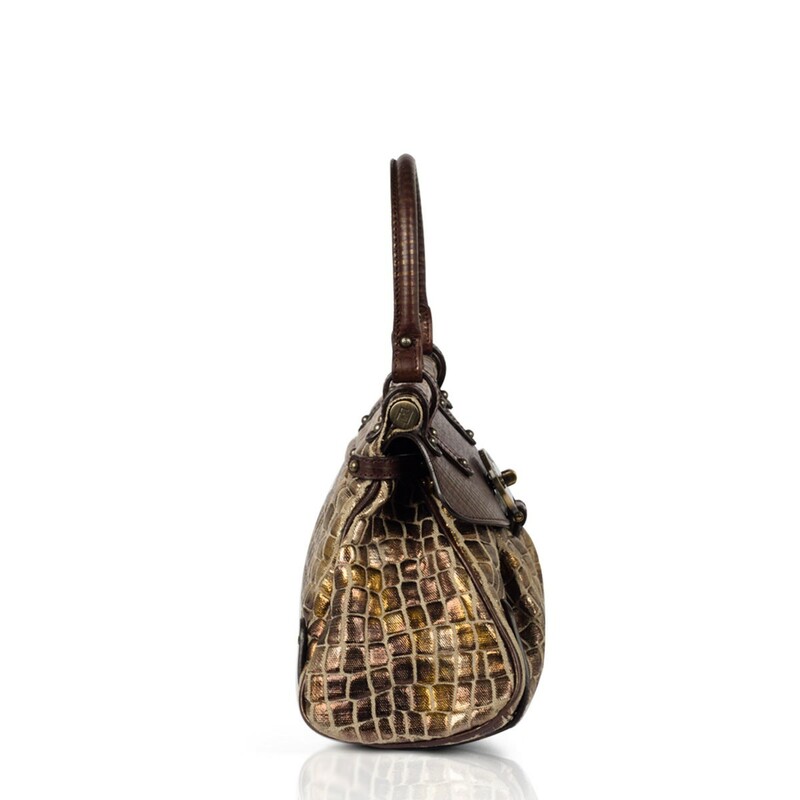 We can guarantee you’ll turn heads with this metallic textured bag, set off by treated leather accents and a dark brass Fendi-labeled closure. Polished and structured, the inside of the bag is composed of chocolate brown canvas and a spacious zip pocket. The matching leather handle measures approximately 13″. 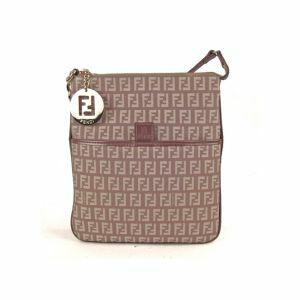 Nothing else can compare to this trendy Fendi! This bag has sold second hand for £720.